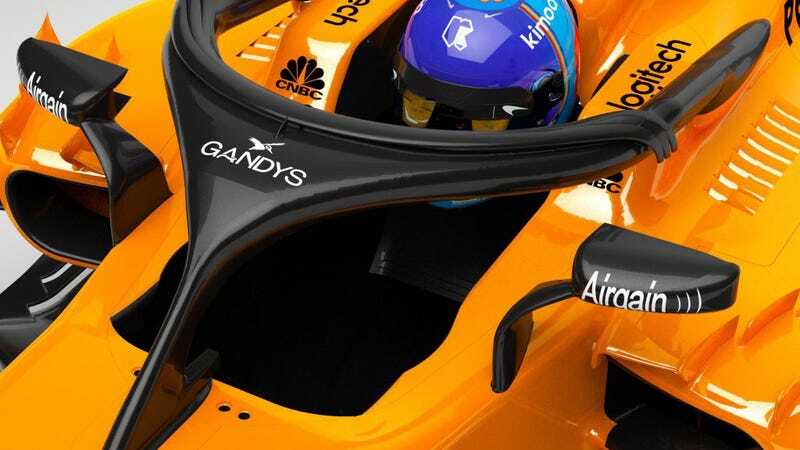 It looks like Formula One’s new halo is a big step forward for safety in the sport. Also, it looks hideous. But at least McLaren is embracing that their once-lovely F1 cars have giant protective flip flops on them, by partnering with a flip flop company for charity. McLaren has announced a new partnership with Gandys, a British lifestyle brand founded by brothers Rob and Paul Forkan after their parents died in the December 2004 tsunami that struck southeast Asia. Gandys’ success enabled the Forkan brothers to open a charitable foundation called Orphans For Orphans in Sri Lanka, where their parents were killed, and the company and its charity work has continued to grow since. Honestly, the best part of F1 these days is the self-deprecating Brits who make fun of themselves through it all.